If you have the iPad Pro 12.9" Cracked Screen problem, you need a solution other than most Apple Stores to get a same day fast and high quality repair. The folks locally in Irvine at RepairZoom iPad Repair in irvine are by far and away the very best iPad Pro Repair company we can find locally. They have been located in Orange County "OC" for over 8 years, and they are the go-to company for this service for any iPad Pro 12.9" Cracked Screen. The iPad Pro 12.9" screen cracks easily and can be fixed easily. But only if you have the right high-quality company that has the resources to get original-quality replacement parts including the original LCD/LED for the iPad Pro 12.9". That means you can't go to just any repair facility for the iPad Pro 12.9 for cracked screen repair. We know that you have many options in Orange County for iPad Repairs, and choosing one amongst the many is not easy. But we are happy to tell you, locally we have one of the best-rated repair companies. It's called RepairZoom iPad Repair and iPhone Repair in Irvine. What about other iPad Pro Screen Repairs in OC? There are two (2) other models of the iPad Pro besides the giant 12.9 version. There is the iPad Pro 10.5 which is the main device sold for iPad Pro with Apple Pencil Support in 2018. Prior to this time, Apple sold a slightly different model, called the iPad Pro 9.7" (with Apple Pencil support). At RepairZoom they repair ALL of them. Even the older ones from 2016 and 2017.. They is good news for Newport Beach as this company is just a short drive from Newport Coast and near the Irvine Spectrum area (same street as the Costco near the Irvine Spectrum Center). The technique for iPad Pro Screen repair is slightly different from earlier iPads. You must replace both the screen and the LCD, making this more expensive than most other iPad Screen Repairs where you ONLY need to replace the glass (not the glass screen and LCD). But there is truly no other approach to this repair, you cannot "peel" the glass off the LCD without permanently damaging it. So the replacement iPad Pro Screen Assembly must be used. 2018 version of the large 12.9" 3rd-Generation model. This is identified as models A1876, A2014, or A1983 (China only). iPhone 8 Repair and iPhone 10 Repair options are needed. Apple has introduced the iPhone 8 and iPhone 10. That means new iPhones for friends in Newport Beach, Laguna Beach, Mission Viejo... and all of Orange County. And now that Apple has many stores in OC, including Newport Beach, companies like RepairZoom and others are stepping up and stepping-in with iPhone 8 and iPhone X (10) repair ideas and solutions. The iPhone 8 is a beautiful glass-backed iPhone that enables wireless charging and other amazing new features. This iPhone is on the iPhone 7 type platform, but in many ways it is an all new iPhone. The device is full of amazing new features such as: Retina HD True Tone display, new Apple A11 chipset, 12 Megapixel camera, Wireless Charging, TouchID, Siri, and up to 14 hours of talk-time. The design is decidedly Apple, with a glossy new look. It's a great device... but hold on... for the iPhone X (10). The iPhone 10 is a completely new iPhone. The biggest change, the home screen which covers nearly* the entire front of the phone... and also eliminates the home button. Using new updates to the iOS software platform with the release of iOS11, Apple has removed one more feature of the hardware to keep their devices simple and elegant. You just "swipe up" for the main features of the new model iPhone. It's quite natural once you get used to it. And it is the future. Also featured for the first time on iPhone 10, is the new facial recognition unlock feature. It is well received actually, and works quite well. I was recently on a vacation with friends in Cabo, and a friend marveled that the facial recognition worked with and without sunglasses. Amazing indeed. The iPhone 10 includes the following new features: 2 colors, space-gray and silver, "Super-retina" HD display, new A11 Bionic chip with 64-bit architecture, 12MP wide-angle and telephoto cameras, 4K video recording, up to 21 hours of talk time on the phone. Wowza. It's truly a big leap for Apple and the consumers who use this newest iPhone device. RepairZoom in Irvine already offers iPhone 8 Repair services. And quite interestingly they already have the pricing for iPhone 8 screen repair nearly as low as iPhone 7 repair with just about $129 per screen repair. The iPhone 10 Screen Repair service is not yet out for most repair facilities. But it will be soon, as the iPhone 10 is notoriously already quite fragile and breakable. So, in the meantime, keep you iPhone screen protected with a very good quality tempered glass screen protector and Speck iPhone case. You will be happy you did. iPad 2017 Introduced - Apple Posts Record iPad Sales! iPad 2017 9.7" version was introduced in early 2017 and it seems to be helping Apple sales. The company posted another record quarter on August 1st, with big gains in Mac Sales and iPad sales offsetting some slowness in iPhone sales as people seem to be waiting for the new iPhone 8. 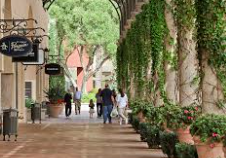 Locally this seems to be true in Orange County, Newport Beach, and Irvine, as consumer demand remains strong. The iPad 2017 repair market is alive and well in OC. RepairZoom in Irvine has already begun offering the iPad 2017 screen repair at just $99 and same day 2 hour service available. This iPad is quite similar in technical design to the iPad Air, so the supply or replacement parts and technicians is already here and good news for local OC consumers wanting to get a quality replacement of their iPad Screens. They do crack, shatter, and break easily, so knowing you have quality options at RepairZoom in Orange County is good news for folks in Newport Beach, Mission Viejo, Laguna Beach and other South OC residents. Later this year, it is expected that more new device announcements from Apple Park in Cupertino are likely to come forward. 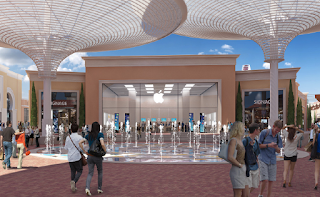 One exciting local development is that a new Apple Store Irvine Spectrum will be opening in early 2018. The construction at the Spectrum has already begun and this new stand-alone Apple Store will be larger and accommodate more customers and repairs than ever before. It is roughly being built near where the old Macy's department store was located. Meantime, rest assured that Apple in California is healthy and well. Investors and consumers have been pleased with the quality of the products and the heath of the company itself. In Orange County, supporting companies like RepairZoom and others have been repairing iPads and iPhones for many years, helping to keep the Apple ecosystem running well for local customers needing iPad Repairs. They don't need appointments for most same day repairs and are open 7 days a week. As the iPad Pro repair market evolves in Orange County, we thought it was a good time for an update of repair options in Newport Beach and the OC area. Things continue to change for local repair options of the iPad, iPhone, MacBook and other Apple and Samsung repair devices in Orange County. The iPad Pro repair availability in Orange County remains limited. You still have the Apple Stores at Fashion Island Newport Beach as an option, and you have RepairZoom down in Irvine near the Irvine Spectrum. Both can provide original quality iPad Pro repairs, while RepairZoom is likely to be a bit less expensive and faster. Many Newport Beach residents have come to RepairZoom in Irvine for many years for their iPhone Repair and other Apple Device repair requirements. The iPad Pro for 2017 is expected to undergo some serious changes soon. It is anticipated that Apple will do-away with the physical home button in favor of a new home button technology that will be embedded directly in the glass screen on the iPad Pro "next generation". Whether this changes the repair availability scenarios is yet to be seen... but with most Apple iOS devices, eventually they can be repaired by Apple and also by 3rd-party-repair shops like iCorrect in the UK or RepairZoom in the USA. Apple has a lot of exciting developments in their lineup for iPad in the future. 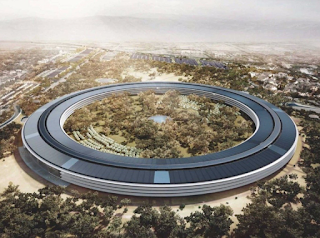 In April 2019 they are moving into their exciting new headquarters in Cupertino California, now called Apple Park. 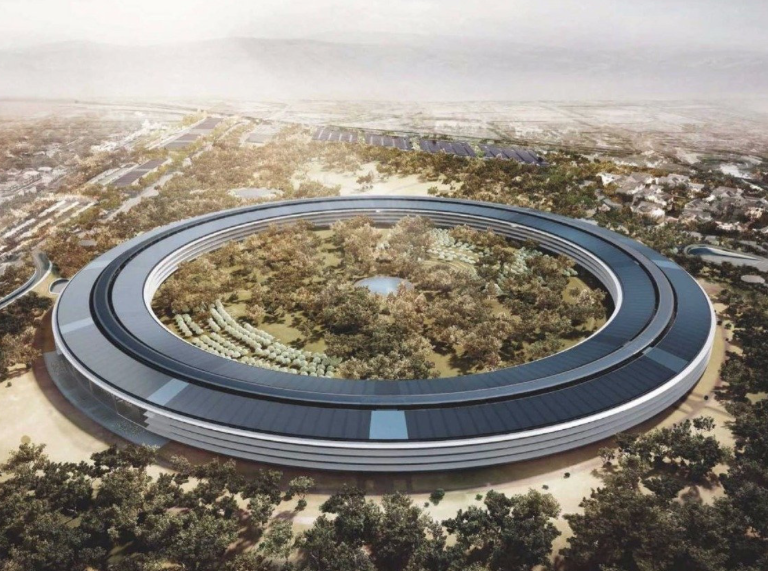 This amazing building is the early vision of Steve Jobs, and has been completed by Tim Cook for Apple in the little town of Cupertino where Apple was created. A Silicon Valley success story if there ever was one, Apple Park is likely to be a place where Apple engineers will create iPhones, iPads, and yet-to-be-invented devices of the future, that bear the signature "Designed in California by Apple" trademark that means the quality and value that only Apple seems to be able to deliver. So the iPhone 7 finally launched formally by Apple at the end of 2016. And like all iPhone sold in California Orange County cities like Irvine and Mission Viejo or online @ apple.com or even in Apple stores, the newest iPhones have been a massive hit. With did a little research around Orange County, and it seems that those up in Newport Beach and Costa Mesa tend to shop primarily at the Fashion Island Apple Store for their Apple iPhone 7 and iPhone 7 Plus repair needs. There tend to be a lot of mall kiosk iPhone 7 repair places in this area. 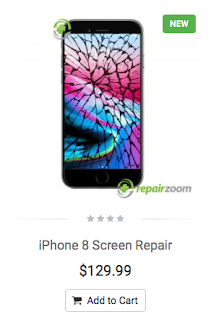 Unfortunately though, the higher quality iPhone 7 repair shops like RepairZoom are located further down in Orange County in areas like Irvine Spectrum. It seems that many Newport Beach residents have been making the drive down to RepairZoom in Irvine for many years for their iPad repairs and for their iPhone repairs needs. With over 400 high quality reviews, it's no wonder so many Orange County folks trust RepairZoom. So what about the quality of iPhone Seven? It seems it's another hit with most OC iPhone consumers... and the quality is what people have come to expect from Apple. In a word, Excellence. The only regret and complaint that we hear is that there don't seem to be as many new and exciting features in the iPhone 7 and iPhone 7 Plus as in previous numbered releases. Of course, the improved and better than other phones waterproofing on the iPhone 7 have been a huge hit! So whether you live in Laguna Beach, Newport Beach, Aliso Viejo, Laguna Woods, Lake Forest, Tustin, Irvine, Trabuco Canyon, or in any other community in The OC, you can always trust RepairZoom as your best iPhone 7 repair solution. There will soon be some new iPad Pro repair and iPhone repair services available in Orange County. That's because in late March 2016, at a special event at Apple in Northern California, Apple announced a refresh to the lineup of products in both the iPhone and iPad families. First off, Apple introduced as a completely iPhone, the iPhone SE. This is a 4 inch iPhone that looks identical on the outside to previous iPhone 5 and iPhone 5s family of devices. Apple shared some insights on how they reached the decision to launch the iPhone SE. In a nutshell, customers around the world still love the 4 inch iPhones! So while the iPhone 6 continues to be the dominant driver of iPhone growth, Apple did not forget or make the mistake of not listening to their customers. So they have created the new iPhone SE. And this iPhone is a powerhouse. 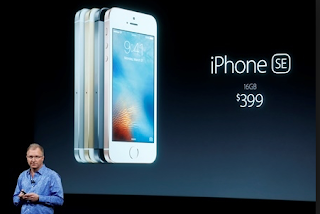 It is packed with all the same features as an iPhone 6… but the put it all in the smaller size of a 4" iPhone. So you now get features like Touch ID, High-resolution cameras, enhanced Siri capabilities, and higher resolution retina display screens. But don't worry, if you need an iPhone screen repair, the cost of fixing this iPhone will be much less than fixing an iPhone 6 with a broken screen. That's because iPhone screen repairs for the iPhone SE, will share the same platform as the iPhone 5 and iPhone 5s. And that's excellent news for consumers, as these repairs are typically less than $99. So we make a friendly recommendation here, if you are purchasing an iPhone SE and you are concerned about future iPhone repairs, you should forgo the insurance called AppleCare. That's because the cost to repair this phone is much lower than the aggregate cost of insurance. And nobody likes to buy AppleCare only to have it expire on them just before they need an iPhone screen repair. So in addition to the excitement around the new iPhone SE, Apple has also introduced a new smaller version of the iPad Pro. And this is also very welcome news for iPad lovers. 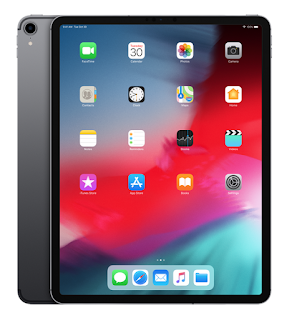 You get all the amazing features of the iPad Pro, which are truly enhanced over previous iPad versions, all in form factor much closer in size to the current iPad Air. That means you can use a detachable keyboard for the new smaller iPad Pro, you get the extra enhanced high resolution retina display, and you also can use the new Apple pencil technology to write with precision on the iPad screen. This is the amazing stylus created by Apple in California, that is much more than a simple pointing device for a tablet computer. But be careful not to tap it too hard on the screen, or you may crack the iPad screen need to go to a repair shop like RepairZoom in Irvine for Pad Pro screen repairs. And speaking of repairs for the iPad Pro, unfortunately these do not come cheap. At least not initially. The technology used to fuse together the glass screen, digitizer with Apple pencil capabilities, and very high resolution retina display, are so advanced that the replacement parts remain extremely expensive. So getting an iPad Pro repair is something you want to avoid, even if you have a high-quality iPad repair shop near you such as RepairZoom which is close to Newport Beach. 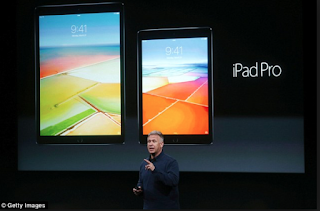 We expect very big sales from the new iPad Pro. There seems to of been pent-up demand for an iPad that truly offered new features a new functionality. So if you live in Newport Beach, Irvine, Costa Mesa, Alisa Viejo, Laguna Beach, Laguna Niguel, or any of the communities near RepairZoom iPhone repair and iPad repair in Irvine, you can always trust but they have the latest information about Apple products and needed Apple device repairs. They even recently launched MacBook and other Apple computer repairs. If you're looking for an amazing iPhone screen repair service look no further than RepairZoom Orange County. This company has been established for the last five years and has a world class track record of customer service and helpfulness for Apple iPhone customers in Irvine, Alisa Viejo, Laguna Beach, Newport Beach, Mission Viejo, and Trabucco Canyon, Tustin, and many of the surrounding communities in the South Orange county area. It's amazing for iPhone Repair Newport Beach as well and located close to the Irvine Spectrum Center iPhone Repair depot. Located near the Irvine spectrum mall, RepairZoom in Irvine is a world class facility rivaling the quality you get from the Irvine Apple Store themselves. However, unlike going to the Genius Bar at an Apple Store, you will find faster service and less expensive service on nearly every iPhone repair. And don't worry if your iPhone 6 LCD is damaged in addition to the cracked glass on your iPhone 6, Repair Zoom can fix it even if the LCD is damaged. Even if your iPhone case is slightly bent on any model of a cracked iPhone, repairs zoom in general is able to accommodate those repairs as well with no extra fees charged. All of the repairs come with six-month guarantee and excellent customer service. With over 50 5 star reviews on Google Plus, it's a safe bet that the customer service here in Orange County is the best you can find. So if you're looking for an iPhone repair, or iPad repair service in Orange County or Newport Beach, and you need walk-in fast service in orange county or Irvine, you definitely want to consider coming into RepairZoom for an iPhone Repair today.